I’ve got a set of old hickories in one of my cupboards. They make me thrilled I’m living in the age of 460cc heads and cavity backs. They look rigid, small and impossible to hit. And yet, if you journey to Kingarrock, that’s exactly what you’ll have to do if you want to play a round on the 9-hole Scottish course. For at this National Trust Scotland-owned layout, it’s the early 20th century every single day. 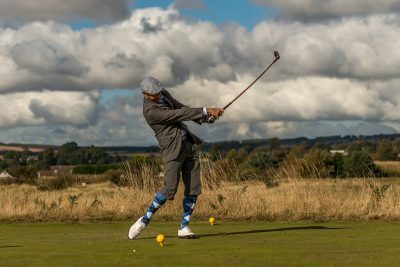 You’ll play with original clubs from the 1900s, softer rubber-wound balls, while putting on some plus fours and a bit of tweed is positively encouraged. In fact, everything at Kingarrock is done, well, a bit more traditionally. 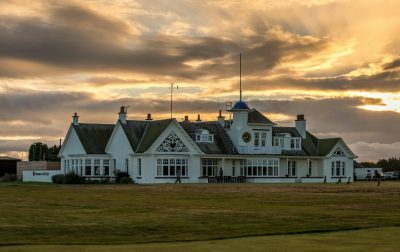 Players go off in half hour intervals – you’ll almost feel like you’ve got the course to yourself – and, once you’ve holed your last putt it’s off to the Forrester’s Cottage for lashings of ginger beer and some shortbread. 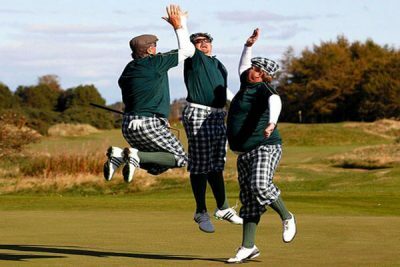 The old ways are even employed out on the course as well. 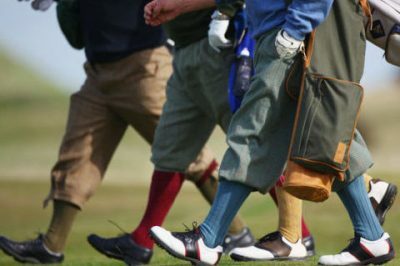 The greens and collars are hand cut, while the fairways and tees are mowed using ‘authentic 1920s-style trailed gang’. No fertilisers, no sprinklers, just natural grass. 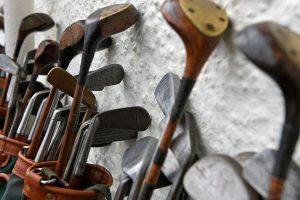 Do you choose a mashie or a niblick? Or is it a mashie niblick? Will you simply be able to hit the ball? All questions that will be answered with a round at Kingarrock, which is only a short pit stop from St Andrews. You’ll go into battle with five clubs: a Spoon, a driving iron, a mid mashie, a mashie niblick and a putter. A ‘Haskell’ and the first patented wooden tee – the Reddy Tee – will be your aids as you try to get it round. 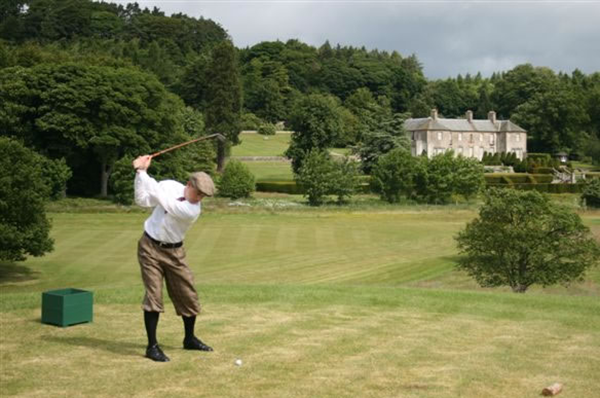 The course itself dates back to the early 1900s when Frederick Sharp brought his family to the Hill of Tarvit Mansion House and designed a 9-hole layout on the house’s front lawn. It felt into disrepair through the years but NTS staff in the 1990s discovered a map of the course dating back to 1924 and decided to bring hickory golf back to the property. The track reopened in 2008, after a 70-year gap, and is now open from April until October. 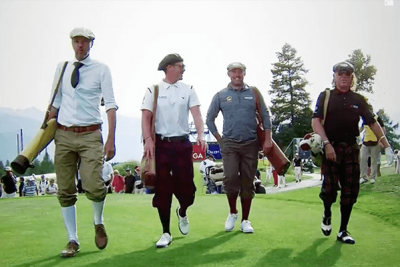 Hickory golf: The ultimate hipster sport?